What Is Included With Adopting Your Piglet? 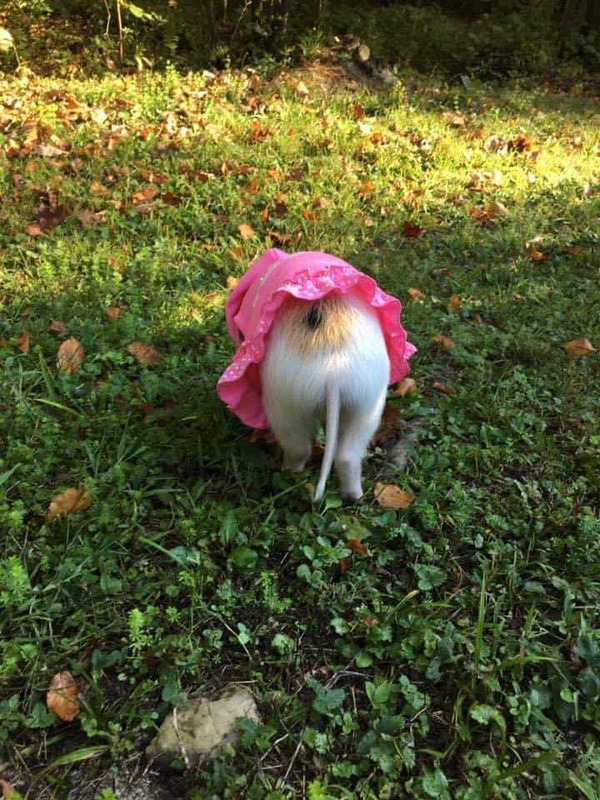 Care packet showing what type of pine litter your piglet will be needing for the litter box (helpful pictures included), helpful tips on how to bond with your baby, bathing information, helpful reading materials on training your piglet, where to house your baby, harmful things to avoid, potty training, and more.. Adoption sheet records showing date of birth, shots and de-wormers given, microchip registration and information, our free microchip member registry site information, and our one year health guarantee. Feed Information sheet with informational pictures and written instructions specific for the needs of your baby. Information sheet also includes information on where to acquire the feed and what other types of feed are options for your family to choose. *Your baby will be going home spayed or neutered. Stitches are dissolvable. *One bag of feed for your baby. *Baby blanket for the ride home is optional. *Wonderful life time support for your family after the adoption of your baby. Call, text, email, or Facebook. *Private client only website full of useful information such as medical information, care instructions, basic tips, etc. 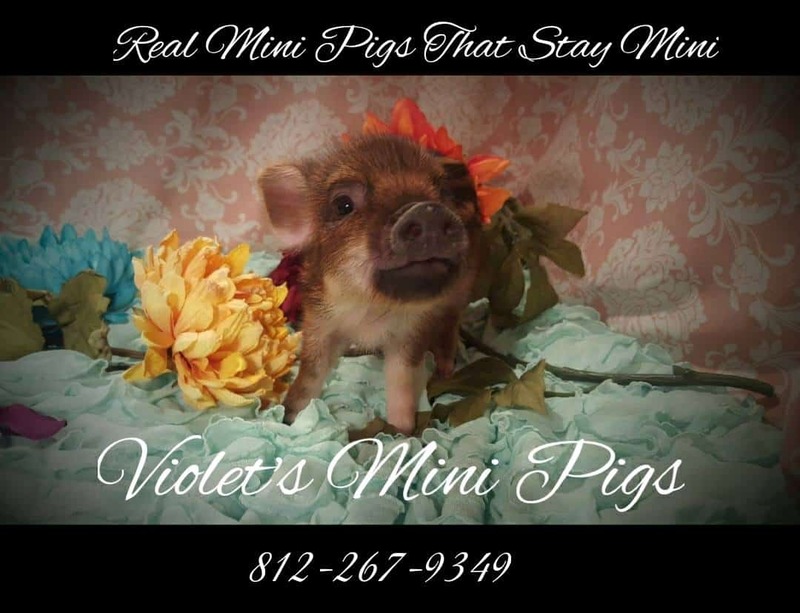 *We are proud to offer our Facebook support groups for our piggy families. 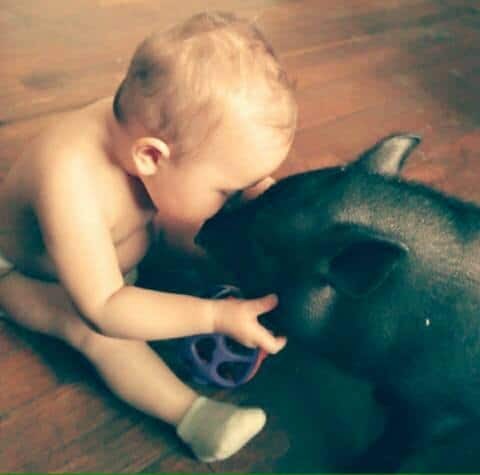 Many, many times we all love to just post adorable pictures and videos of our piggies just to share with the hundreds of piggy family members just like us that share the same LOVE FOR THESE PRECIOUS SOULS! ~Not all, but some Facebook groups can immediately attack you if you ask the wrong question.. in our groups, harassment and rude language is not allowed or tolerated. ~Our client-only website filled with lots of helpful education geared to help you in raising your piggy. ****What should I expect when I visit? What should I expect when I pick up my baby? *A tour of the farm and the parents of your piglet. ~Bring rain boots if it is raining that day. *You’ll come inside our nursery and meet your new baby. ~We have five children that are happy to play with your little ones! Children are always welcome in our home! ~We have a playset, hexagon jungle gym, and slides that your children are welcome to play on with adult supervision. ~Your baby piglet is being kept in our nursery. There, we will help you hold your baby, give some education, and answer any questions you might have. ~You will get paperwork about your baby, and will receive your microchip information from your baby and any other paperwork needed. ~We will discuss care instructions. You will receive a large care packet in case anything we go over while you are here with us is forgotten.